The extremely robust and lightweight alternative to plastic or metal bottles. When empty, these light but tough water bags may be rolled up, and take up hardly any space in your bag in contrast to bulky containers or bottles. The water bags are available in the sizes 2l, 4l and 10l also make great pillows for sitting or sleeping, can be used as hot-water bottles, and have even been known to function as water ballast on paragliders. Thanks to the strong straps they are comfortable to carry, can be rolled or hung up to save space e.g. in the tent or on a tree. 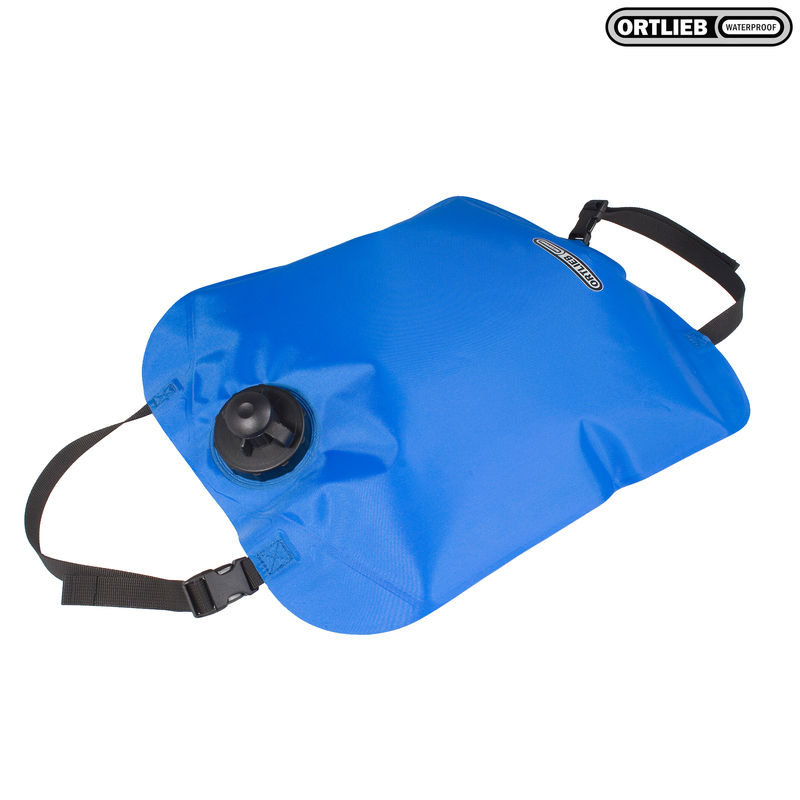 Note for all ORTLIEB water containers: After use store Watersacks, Waterbags and Waterbelts with an open cap to ensure that they dry quickly. Do not transport drinks containing sugar or acids in the water containers! Attention: All water containers are suited for water only (max. temperature 60°C/140°F). Do not use for alcoholic, sweet or acid liquids. Do not expose drinking water too long to the heat. Change water regularly. Store dry and open. Clean inside with denture cleaning tablets. Clean outside with warm water, brush and neutral soap. Clean the valve regularly.